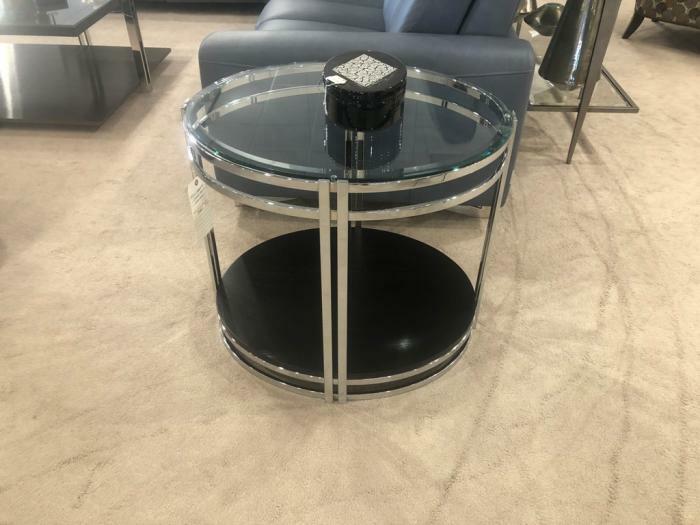 This Oval End Table features a glass top with an oakwood base and chrome accents.Availale as shown only. GMI Designs is the premiere showroom for modern and contemporary occasional furnitur e in the New York, New Jersey and Pennsylvania area. Visit our showroom in East Brunswick, New Jersey to see the latest in contemporary and modern occasional furniture including curios, etegers, cocktail tables, console tables and accent tables available in many different finishes . Gmi Designs also offers a complete in-home interior design service so you can be sure that you are making the right decision. So let our professional interior designers assist you in selecting the right pieces for your home.